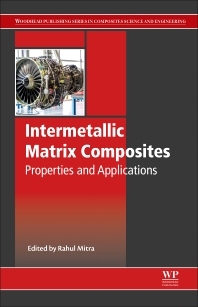 Intermetallic Matrix Composites: Properties and Applications is a comprehensive guide that studies the types and properties of intermetallic matrix composites, including their processing techniques, characterization and the various testing methods associated with these composites. In addition, it presents modeling techniques, their strengthening mechanisms and the important area of failure and repair. Advanced /complex IMCs are then explained, such as Self-healing IMCs and laminated intermetallic composites. The book concludes by delving into the industries that use these materials, including the automotive industry.